We have noticed an exponential increase in the number of U.S. citizens who are coming to us because they have not been filing U.S. returns. We have found that it is most often not the income taxes payable on the income tax return that creates the greatest tax exposure for these individuals. 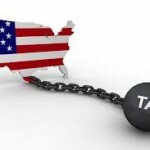 The reason for this is that the U.S. provides a reduction to their tax liability (a foreign tax credit) for taxes paid on income earned outside of the country. Therefore, if a U.S. citizen lives in Canada and the Canadian taxes payable on Canadian income is greater than the U.S. taxes payable on this income there will be no U.S. income taxes payable for the year. This is the case except for a new tax effective in 2013 that taxes investment income if the individual’s income exceeds certain limits. This tax applies regardless of the Canadian taxes paid. The biggest exposure for U.S. citizen non-filers is generally the penalties that can be assessed for late filing of certain forms even if these forms do not have a tax liability associated with them. The most common of these forms is the Form 114 Foreign Bank Account Report or “FBAR”. Where a U.S. citizen has an aggregate balance in foreign financial accounts in excess of $10,000 at any point during the year, they are required to disclose all accounts to the U.S. Treasury on an annual basis. Failure to disclose these accounts carries a statutory penalty that starts at $10,000 per year. A similar penalty exists for any other information return that may be required, including (but not limited to), disclosing an interest in a non-U.S. corporation, a non-U.S. partnership, transactions with a non-U.S. trust, etc. Streamlined Foreign Offshore Procedure – Under this program, a delinquent U.S. citizen must file the prior 3 years tax returns and 6 years of FBARs. Filers must certify that the failure to file returns was due to non-willful conduct and that they meet a non-residency requirement. Non-willful conduct is conduct that is the result of a good faith misunderstanding of the requirements of the law. To meet the non-residency requirement, filers must certify that they have been outside the United States for more than 330 days in at least one of the years for which income tax returns are to be filed. Filers who qualify for the Streamlined Program will not be subject to penalties. Offshore Voluntary Disclosure Program (OVDP) – U.S. citizens who do not qualify for the Streamlined Procedure can choose to apply for the OVDP. Under the OVDP, U.S. citizens are required to file tax returns and FBARs for the prior 8 years. In lieu of all other penalties that may apply to the undisclosed foreign assets and entities including FBAR, a reduced penalty of 5% to 27.5% will be calculated based on the highest aggregate balance in foreign bank accounts/entities depending on the taxpayer’s facts and circumstances. If you are already under audit or review by the IRS, you can no longer apply for any of the programs mentioned above. 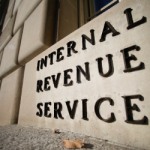 This means it is important for non-filers to come forward before the IRS approaches them. The IRS has the right to end the programs at any time.